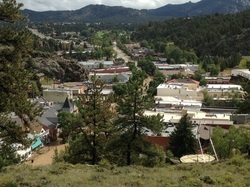 Estes Park is slowly recovering from the floods. 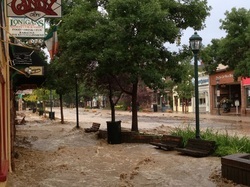 A friend of mine sent me this email as an update to the flooding and the cleanup going on right now. It truly is amazing the uplifting spirit of this email. It will be a while before those roads and bridges can be repaired. Please keep everyone in your prayers. 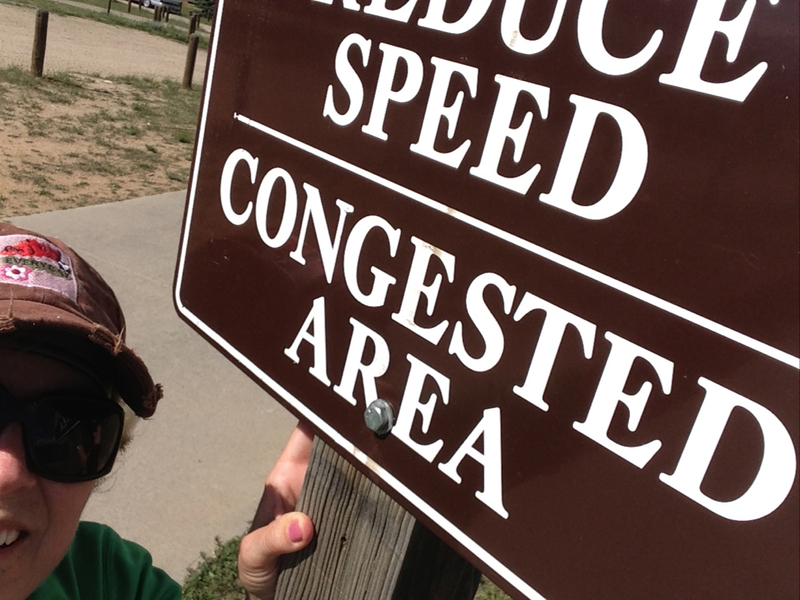 I just found out as of this morning that Trailridge Road, the only road in and out of Estes Park had to close down today because of ice conditions - man oh man! I was going to call it something else, but everyone is used to getting the Coffee so I just left the name the same. 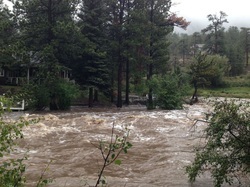 I'm sure you have all heard about Estes Park, and the flooding that is and has been occurring. 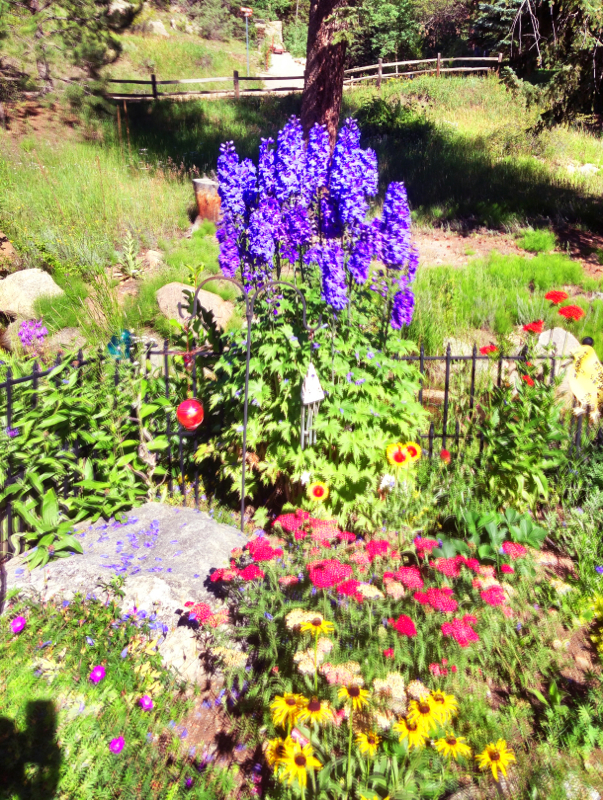 It dawned on me that not all of you are on my Facebook page or my Facebook Business Page "Estes Park Real Estate". If you have access to Facebook, then you can get the video's that I've posted. 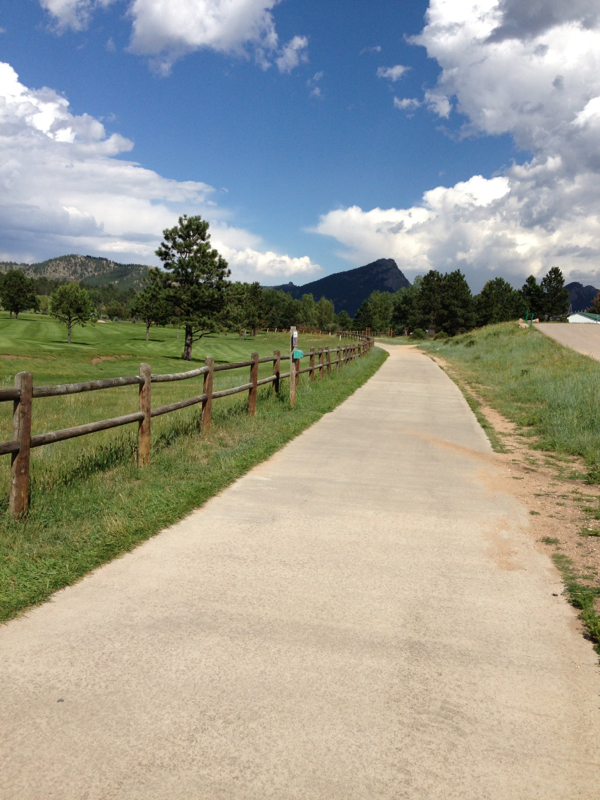 Estes Park is currently without telephone service. 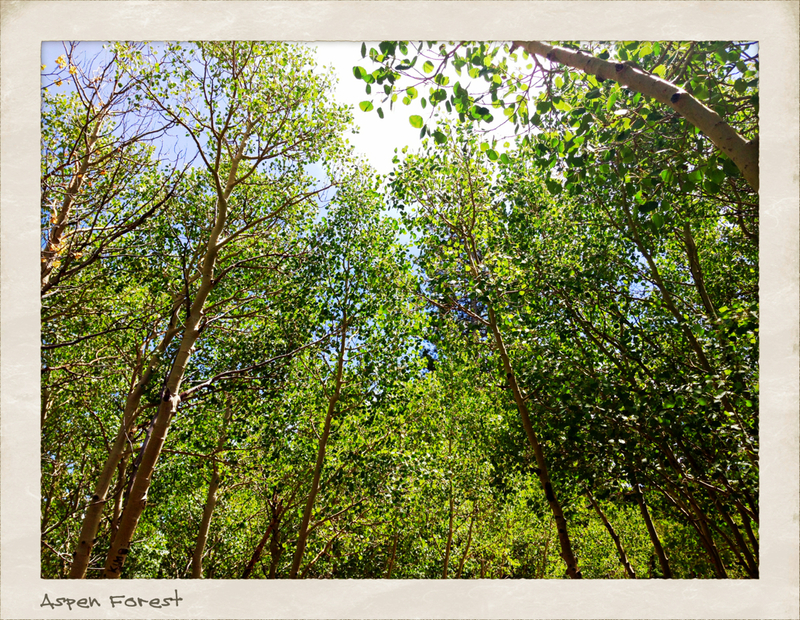 There are no land lines, no cell phones and very limited internet. All of the highways are closed in and out of Estes Park. 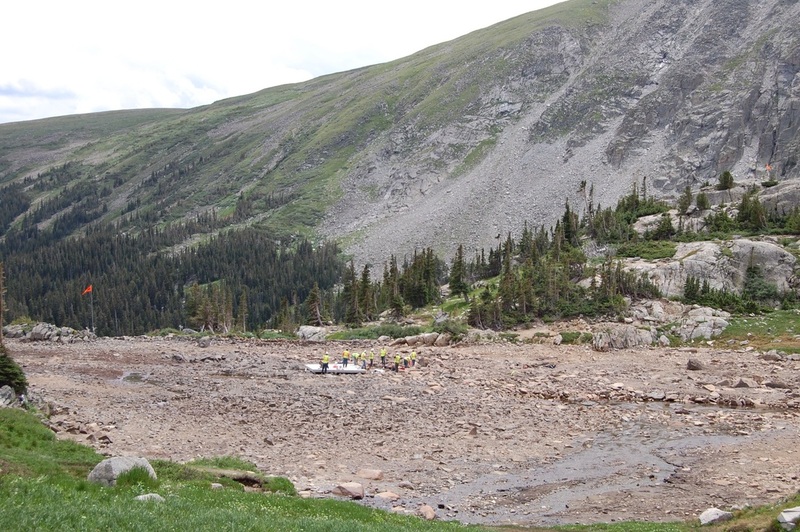 The only road without severe damage is Trail Ridge Road. 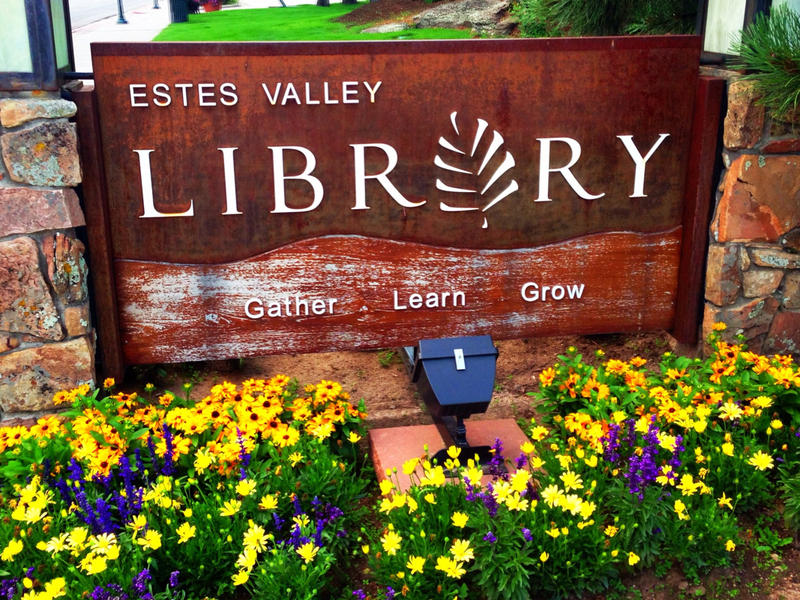 You can leave Estes, but they won't let you come back. Even with all of these little bitty issues it's still my town so I'm not leaving. 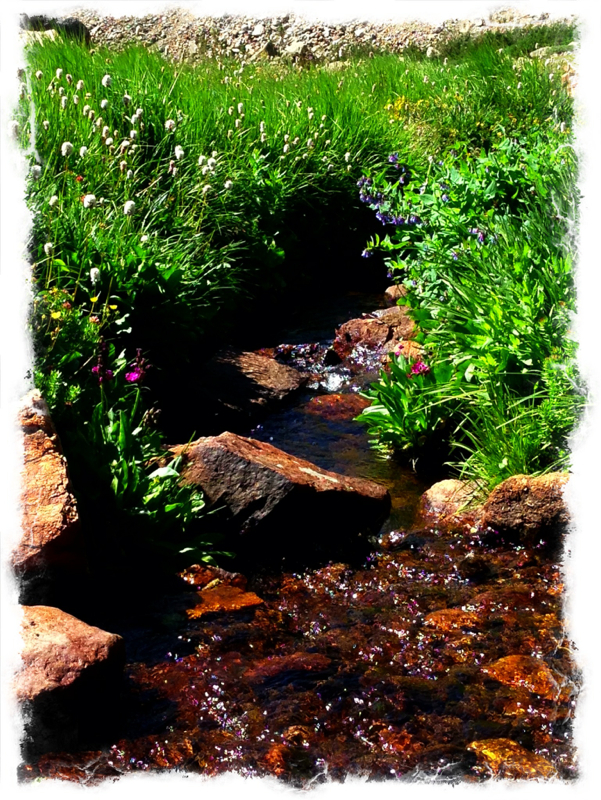 The River around Estes Park was tough, but I don't think we lost any houses. 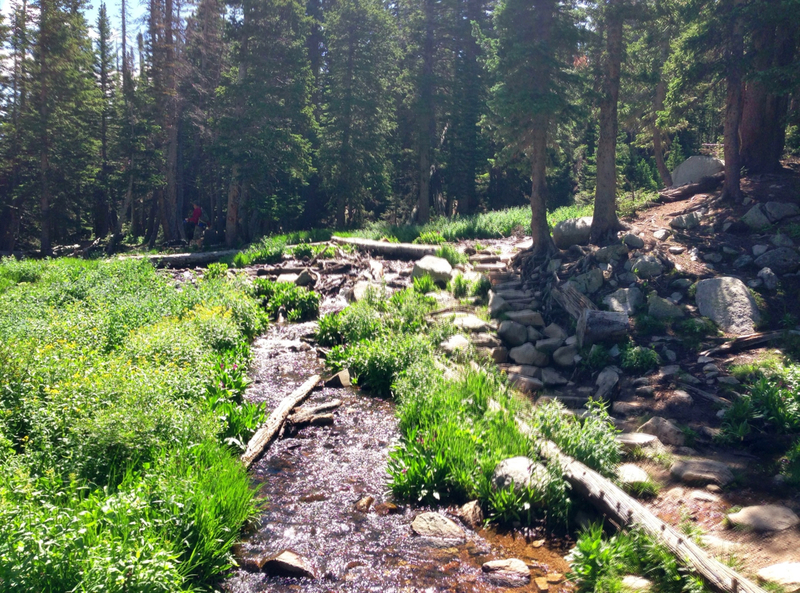 The Big Thompson Canyon on the other hand will be a different story. They had all five gates open at the dam letting 6,000 cubic feet per second out of the lake. 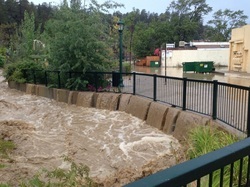 That is more water than went down the canyon during the 1976 flood. The water from Weist Street is pouring over back into the river behind Lonigans. This is what the front door of Lonigans looked like. Elkhorn Avenue was a river this morning. This is the down the street view from the previous location. You can see the huge flower pots typically found on the street corner washed down the street. This is the the Post Office parking lot. I'm sure that huge check I was mailing to you is in one of those two mailboxes. I wonder how that works? That blue car doesn't look like it's in a good position either. You can see the river's natural channel between the green fence and the houses in the foreground. This view of Elkhorn Avenue was taken fro our house. You can see the river that now calls Elkhorn home. Tonight the waters have receded and Elkhorn is passable. It is still blocked off because of the mud and silt that needs to be cleaned. This picture shows the complex where the water wheel is. The wheel is gone and it appears it took part of the railing when it left. 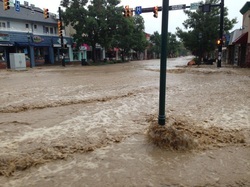 We're all in shock this weekend watching the surreal flooding in northern Colorado take place. As planned, Chuck and I had dropped my mom and dad off at the airport, here in San Antonio last Thursday afternoon (Sept. 12, 2013) on their way to the cabin in Estes Park via the Denver airport. 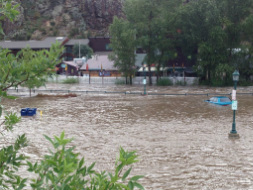 We all knew there had been some flooding in Boulder, CO but that's not so uncommon - none of us thought there would be any problems since they were staying the night in Denver and then driving their trek north to Estes Park. Dad already had alternative routes mapped if needed. This is the time of year where my parents enjoy the last of the mountain summer and then close up the cabin for the winter. 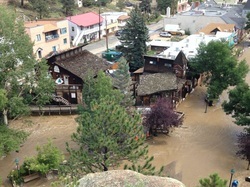 Well, two hours after Chuck and I left the San Antonio airport, word was all over the news and internet - flooding had hit many of the small mountain towns all over North Colorado and the rains weren't going to stop. I've included some videos and pics from folks who have posted them to show just how serious and devestating the power of flooding can be. 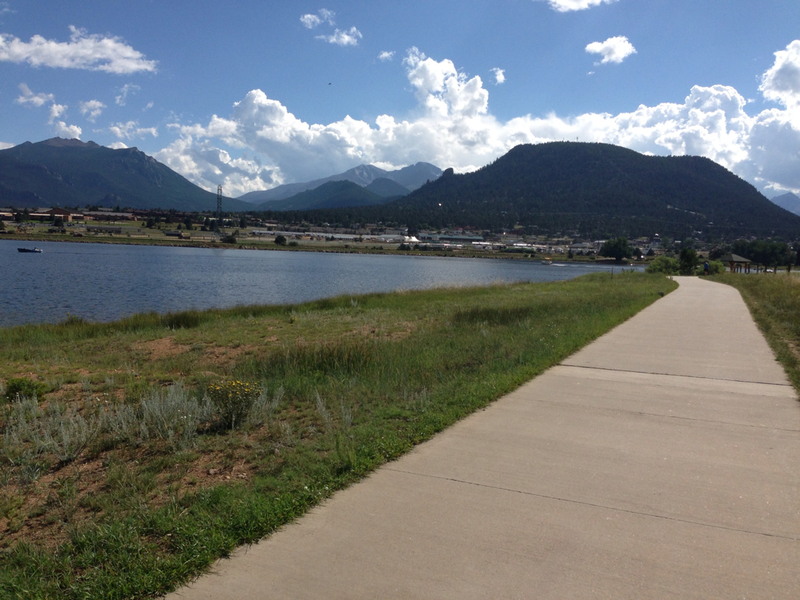 As of today, there have been NO casualties from the Estes Park area and we are all praying for the families from Boulder who have lost their own. 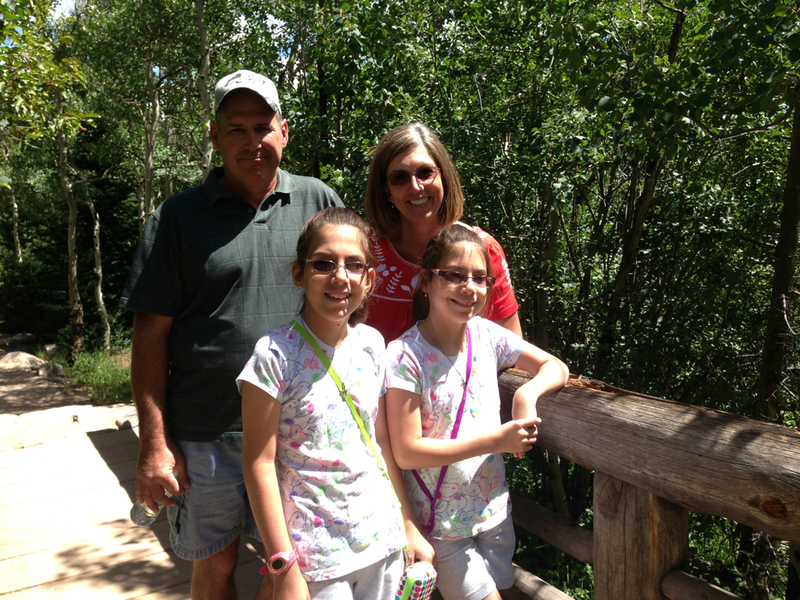 Mom and Dad stayed the night in Denver and then took an afternoon flight home to San Antonio the following day. We are in the process right now to see how their cabin is fairing. Our thoughts and prayers are with everyone with homes, businesses, and those vacationing in and around the flooded areas. 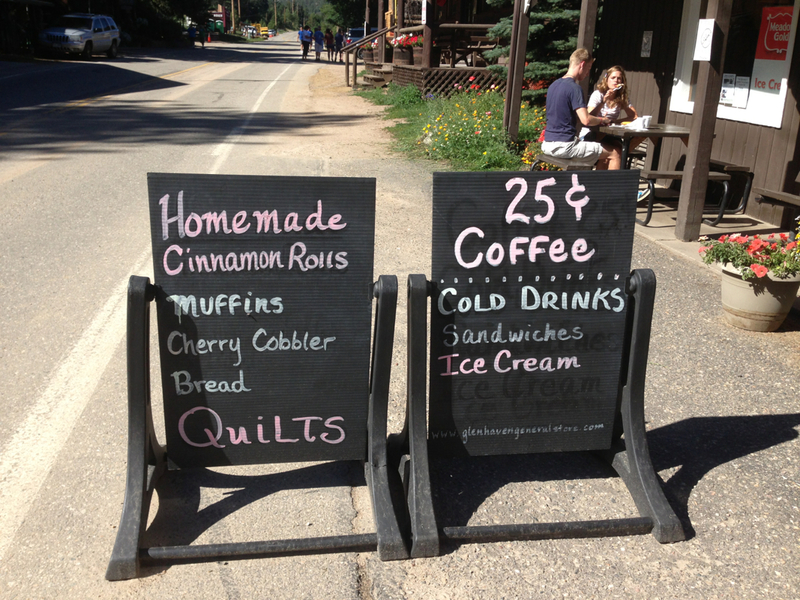 Below is a video of Glen Haven - this is where we took Keith, Marci, and the girls to get cinnamon rolls (see previous pictures in my blog). This poor town will need to rebuild - there's not much left. Very sad. So much can happen in a blink of an eye. 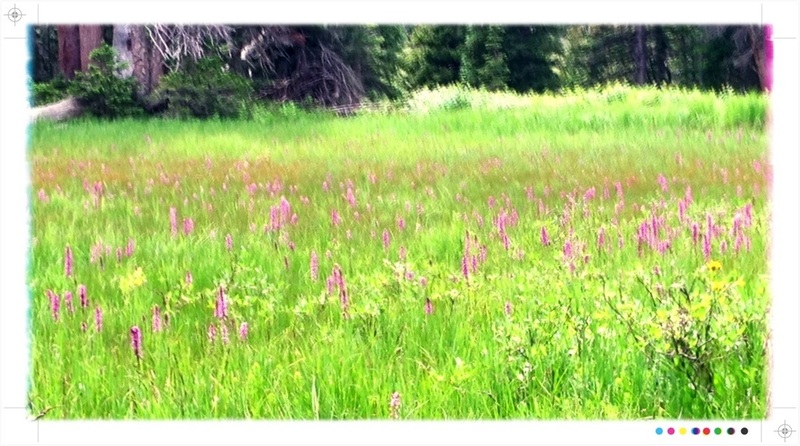 It&apos;s been a few days since our hike - too much to see and do here. 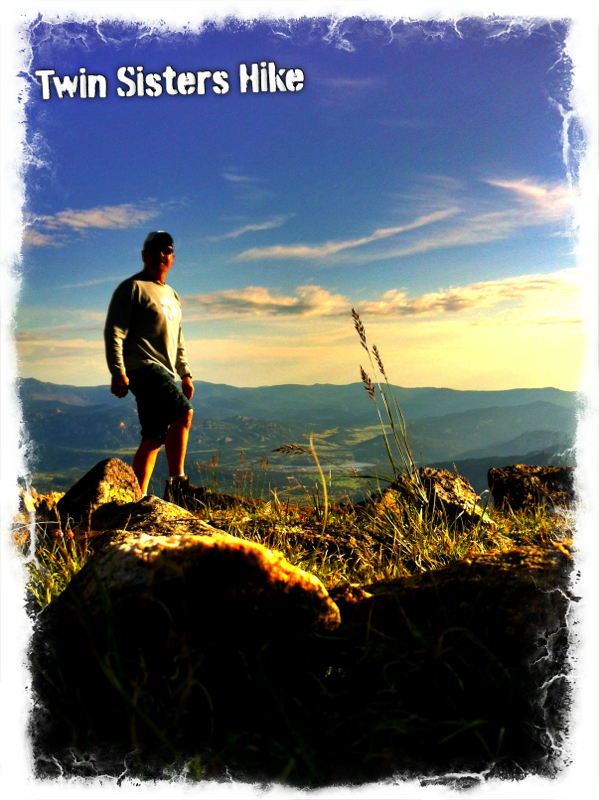 We flew our son, Chase, up for 3 days so this was the hike of choice. 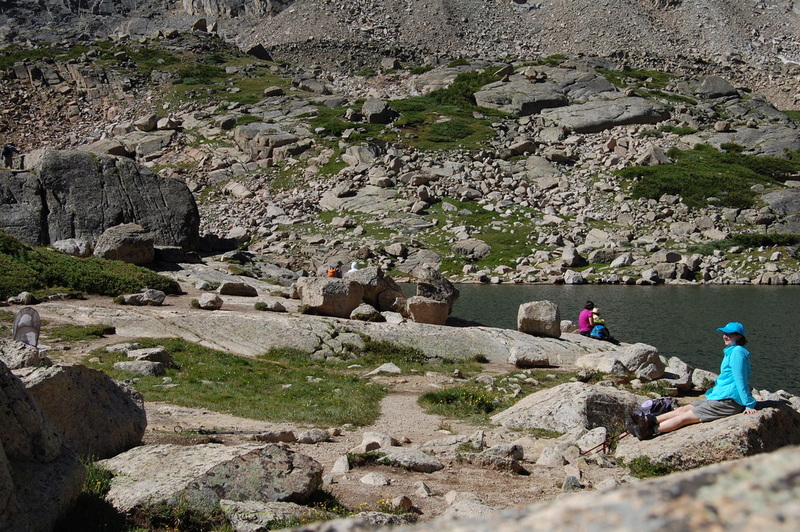 None of us have been to Blue Lake but we&apos;ve heard plenty of folks talking about how beautiful it is. 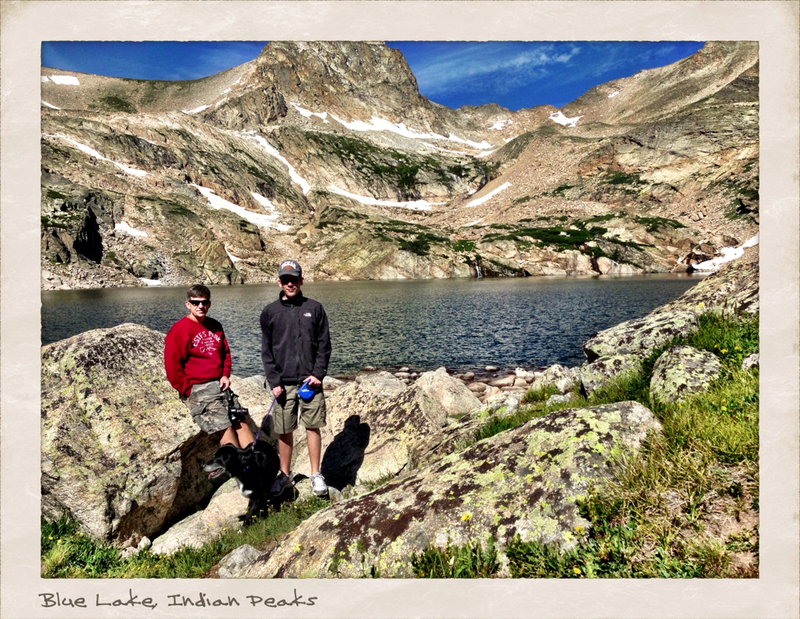 We haven&apos;t hiked much in Rocky Mountain National Park this summer because we have Toby, our dog, with us. 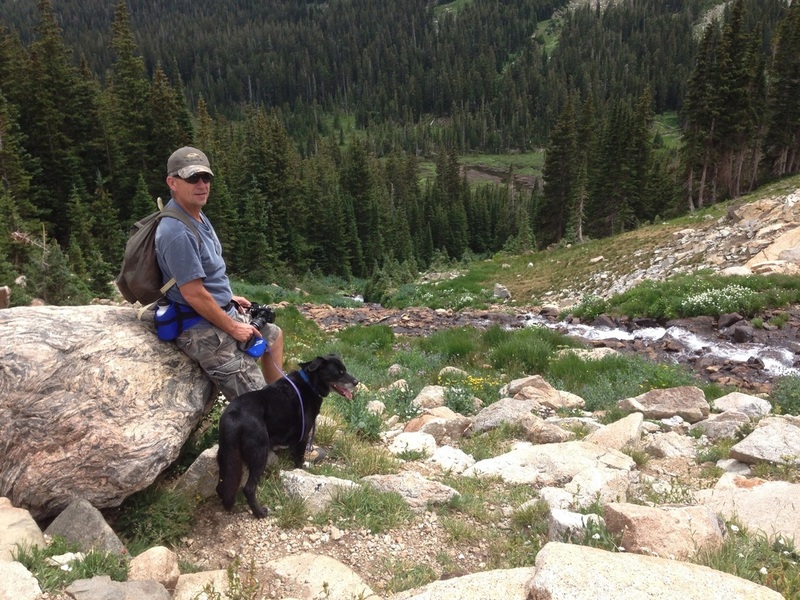 Roosevelt National Forest allows dogs on all of their trails while RMNP does not. 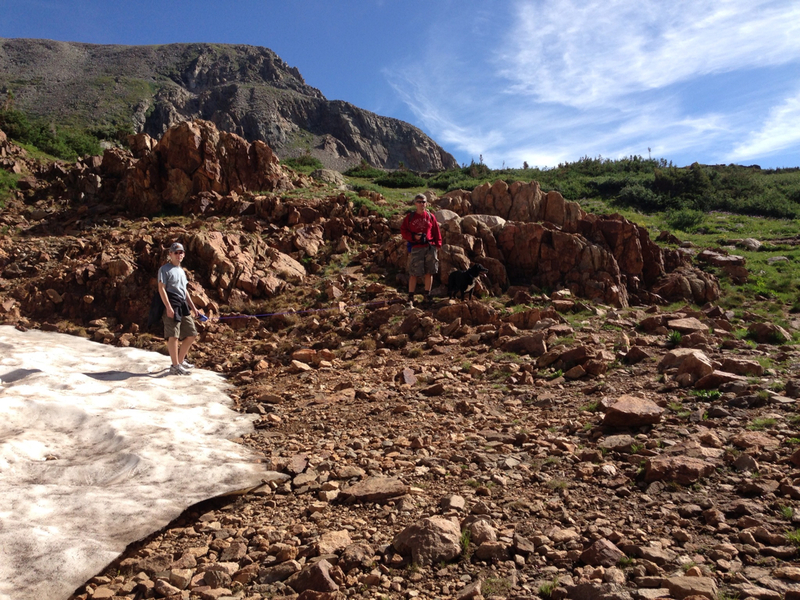 This hike was a bit strenuous for our dog but he was a trooper. 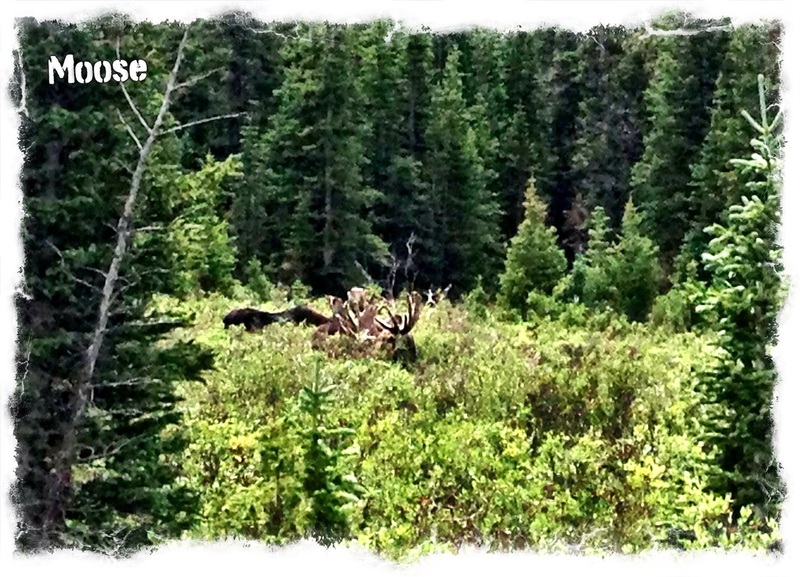 There wasn&apos;t a dull moment and wonderful photo ops along the way. 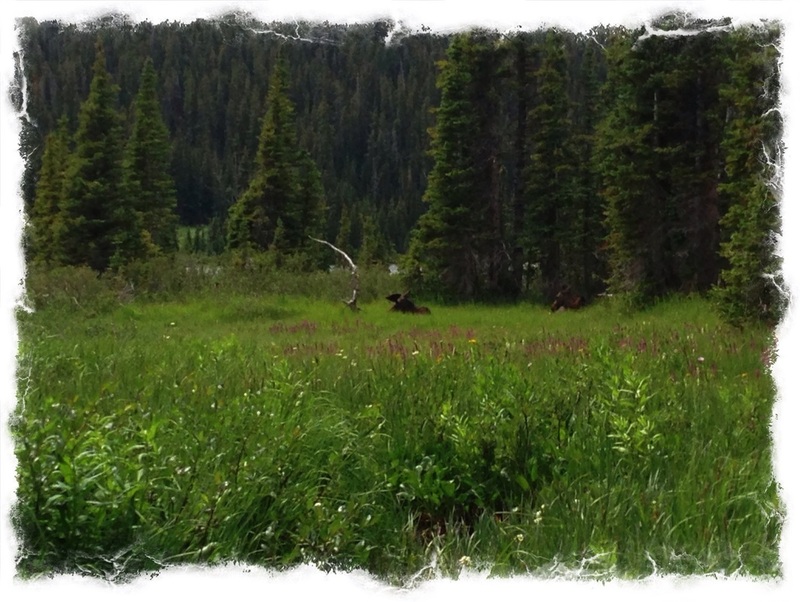 Once you drive through the entrance to the forest, you&apos;ll drive by Brainard Lake and recreation area. 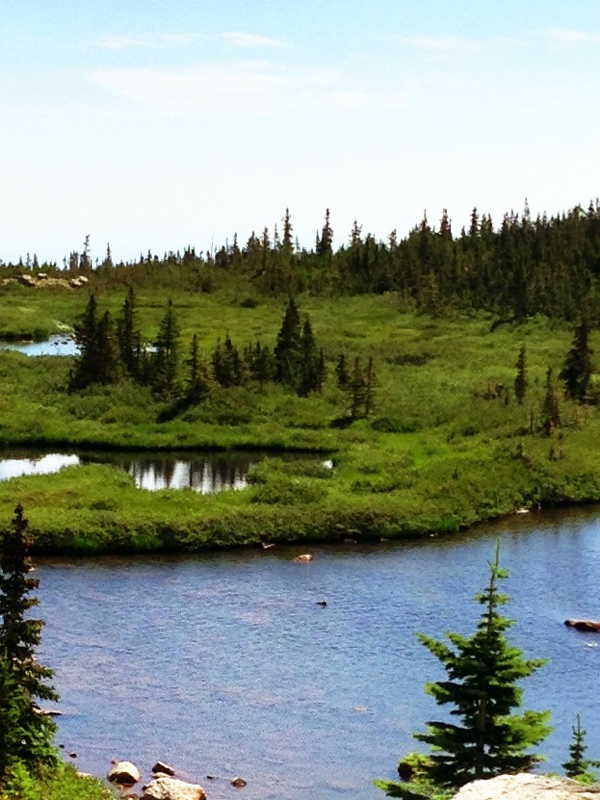 You&apos;ll eventually come to a fork in the road where Isabelle Lake trailhead is to the left and then Michell Lake and Blue Lake trailhead is to the right. 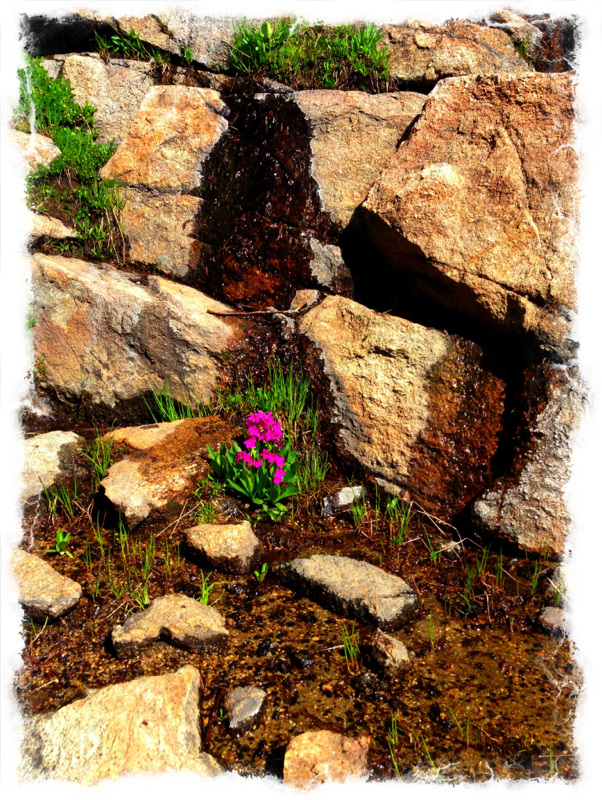 Here&apos;s a few pics from the hike up to Blue Lake. Then I&apos;ll tell you about this sweet woman who was so endearing. 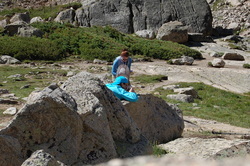 Once we arrived at Blue Lake and sat down to take in all the beauty, we saw this lady in the blue jacket in the picture setting up here camera on the rock, running over to another rock to pose. She would quickly whip out a scrolled poster out of the inside of her jacket, smile and do a victory dance each time - the dance was different each time (I'm talking about 20 shots she took). She caught our curiosity and others so she pulled in a small crowd to at least assist her in taking those pictures. 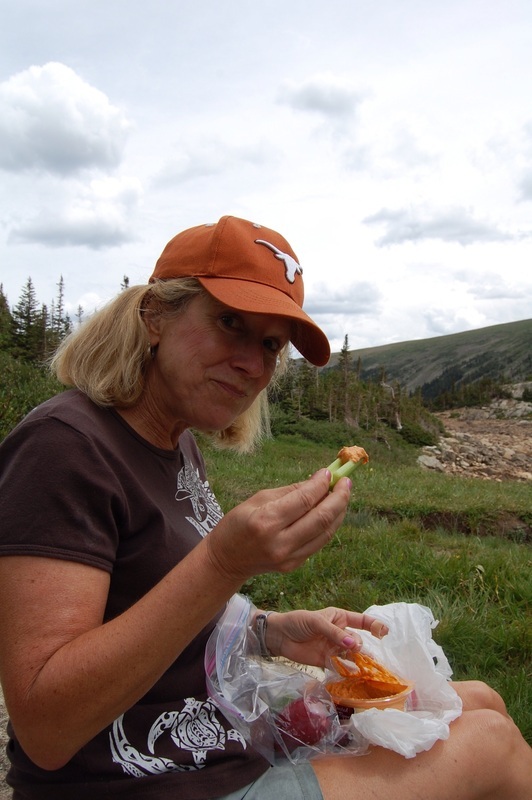 She explained that she sojourns to this exact location every year for the last 20 years. The poster she pulls from her jacket says 20 years! She's 60 plus years old, retired, and has made this a quest in her life. One gentleman who assisted with taking one picture for her noticed that her camera was about 15 years old. He asked if he could just take pics on his camera and email them to her. She smiled and very politely explained that she doesn't deal with "that email stuff." Got to love her!!! I wish you could have seen and felt her enthusiasm each and everytime she set that camera of hers up and posed a triumphant pose for her records. Make us all smile. 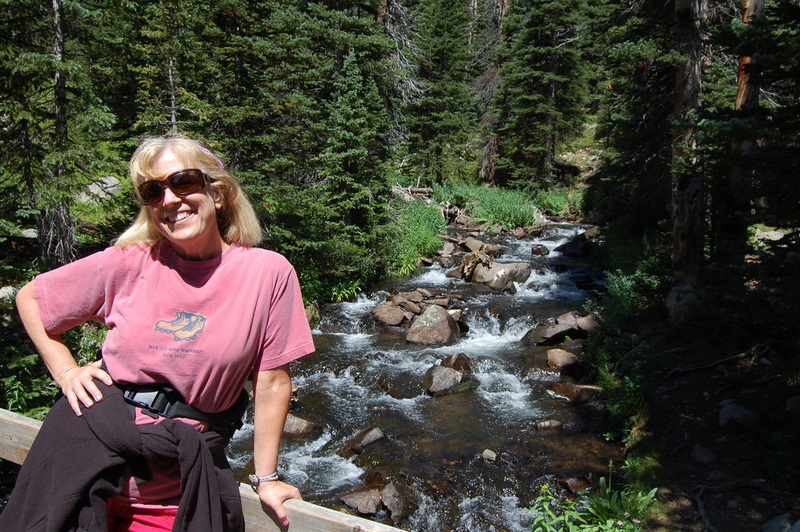 Lady from Wisconsin posing for her 20th visit to this exact spot at Blue Lake. My sister and brother in-law, Marci and Keith, and their beautiful twins, Kenzie and Kaitlyn, met us at our cabin around 8:30am to venture down to the famous Glen Haven General Store. What? You have no idea why this store is famous? Two words - CINNAMON ROLLS. These rolls melt in your mouth and keep you smiling just thinking about that cinnamon and hot roll aroma! 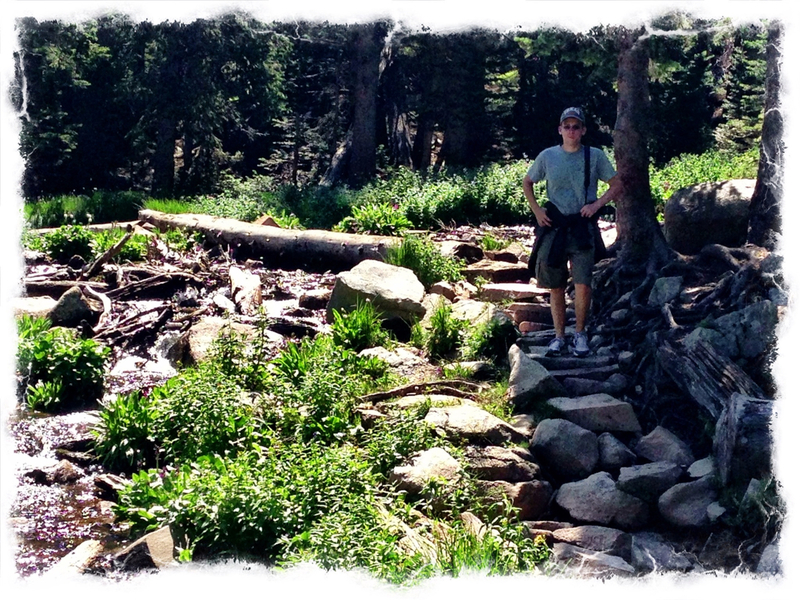 Chuck cruised his motorcycle down to Glen Haven while we road in the Traverse. 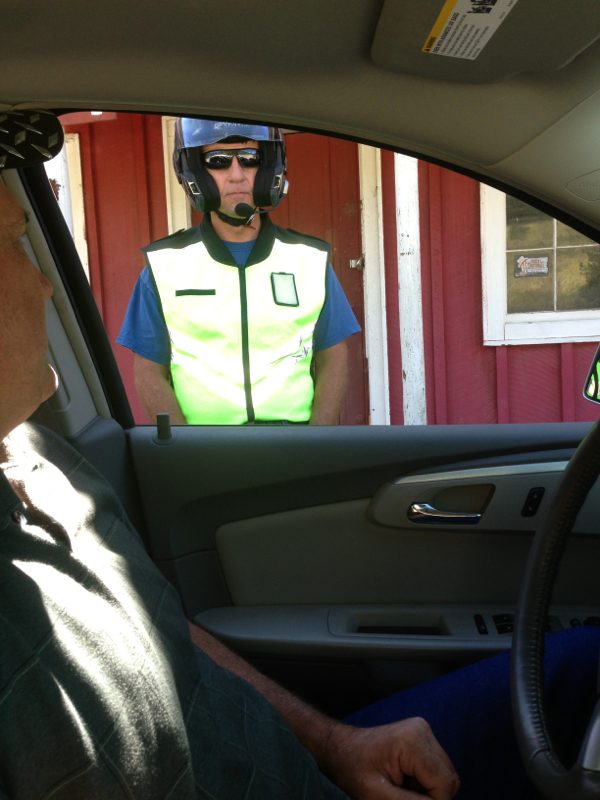 Chuck looked a bit official- maybe too official in his motorcycle outfit so I thought I better archive the moment. 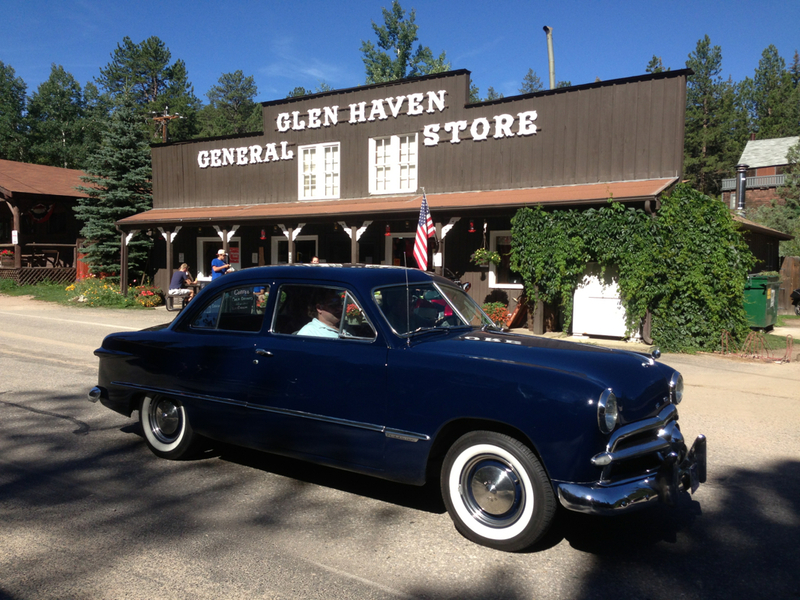 I took this picture in front of the Glen Haven General Store- 49 Ford. 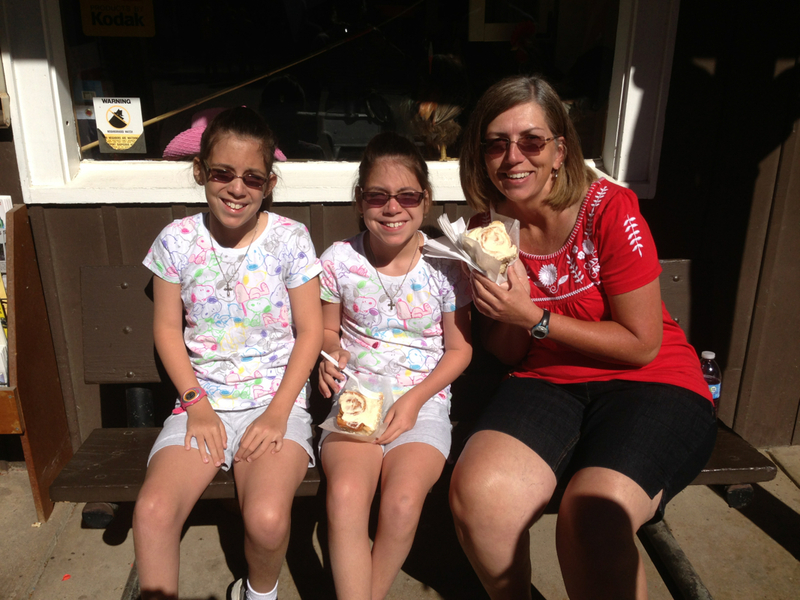 Kaitlyn, Kenzie, and Marci w/ those world famous rolls. See that smile on Keith's face? It's the cinnamon roll! Ummm, yes officer? Haha- that's Chuck- just hasn't had his cinnamon roll yet. 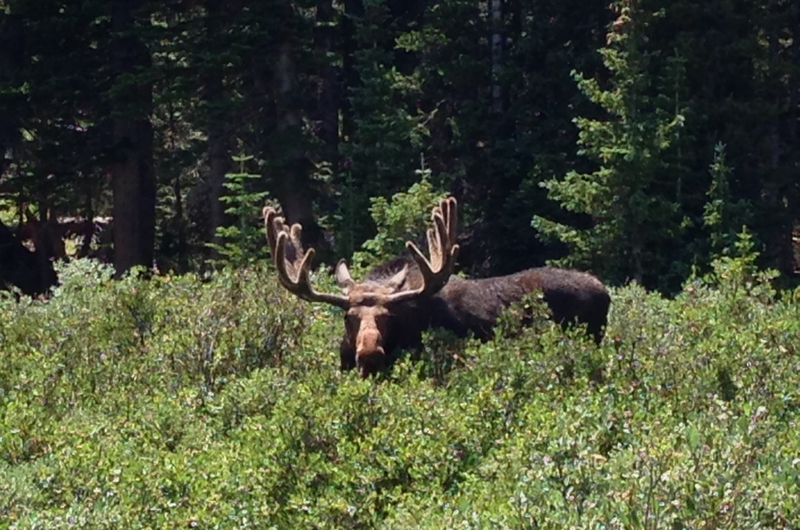 Moose in the park today! Beautiful day from the very start! 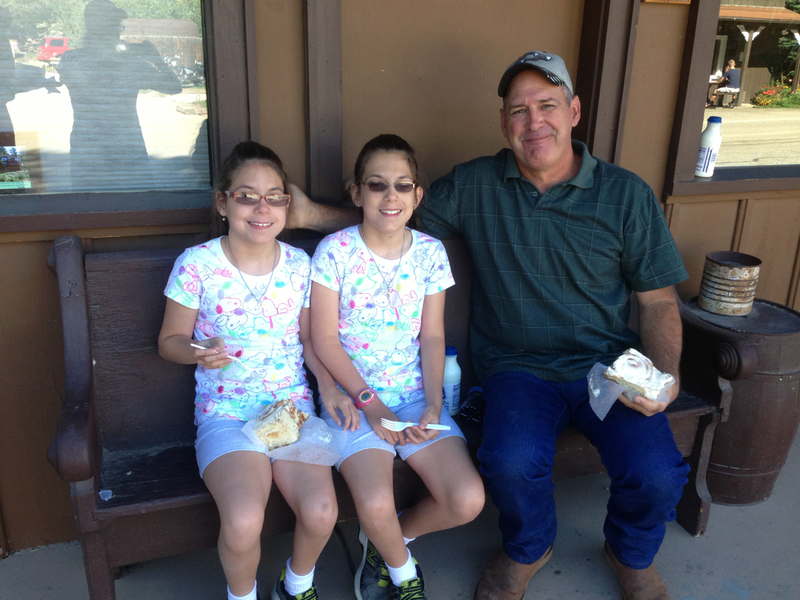 Chuck and I stopped on over to the Anderson's cabin to visit with Marci, Keith, and the girls. Thursday is always a great day because the Farmer's Market is amazing. We grabbed Marci and the girls and drove on over that way. 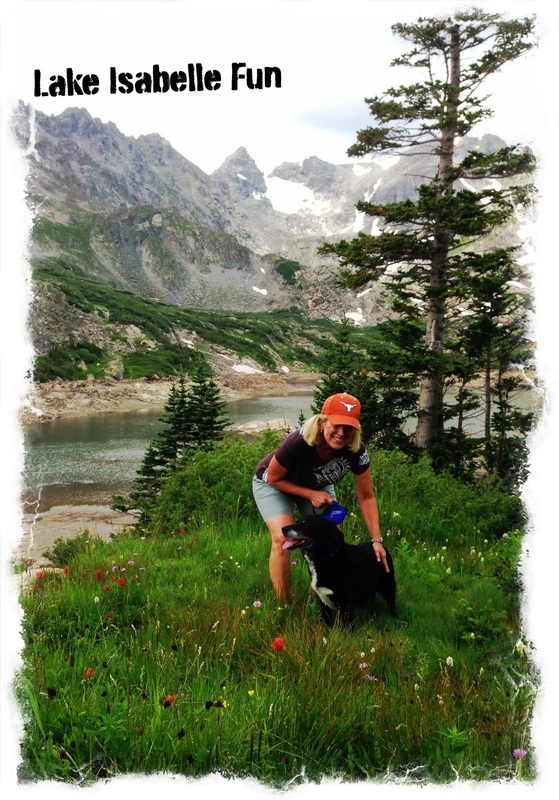 After buying way to much produce we headed on home to get ready for our first official hike with Toby. Chuck and I noticed a helicopter flying back and forth from the lake to another location. It wasn't until we arrived at the lake that we realized what the helicopter was doing. The lake was pretty much empty! We've never seen this lake empty. Men were working down on the lake releasing items from the helicopter. We later found out that this lake is usually emptied in October each year to irrigate nearby farms. 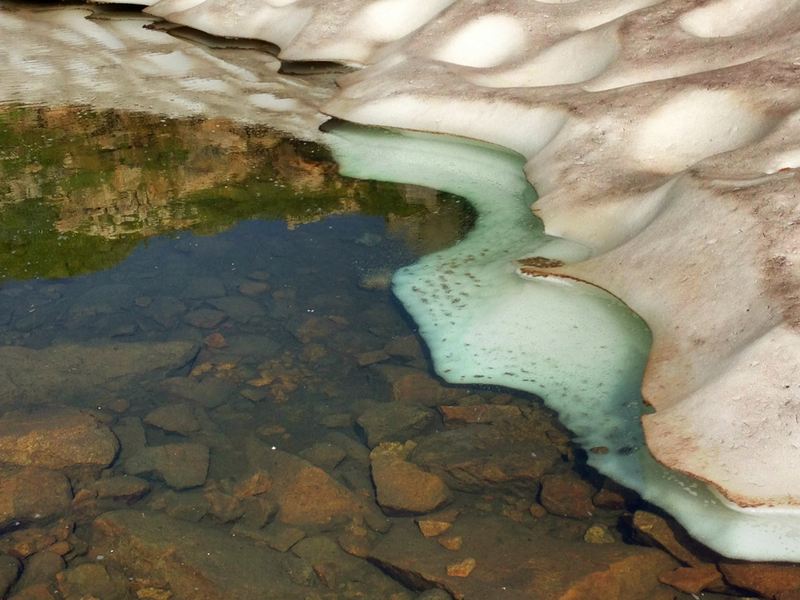 The snow/ice and rain replenishes the lake throughout the winter and spring months. I was a bit disappointed but intrigued at the same time. These words are so true for this and all libraries! 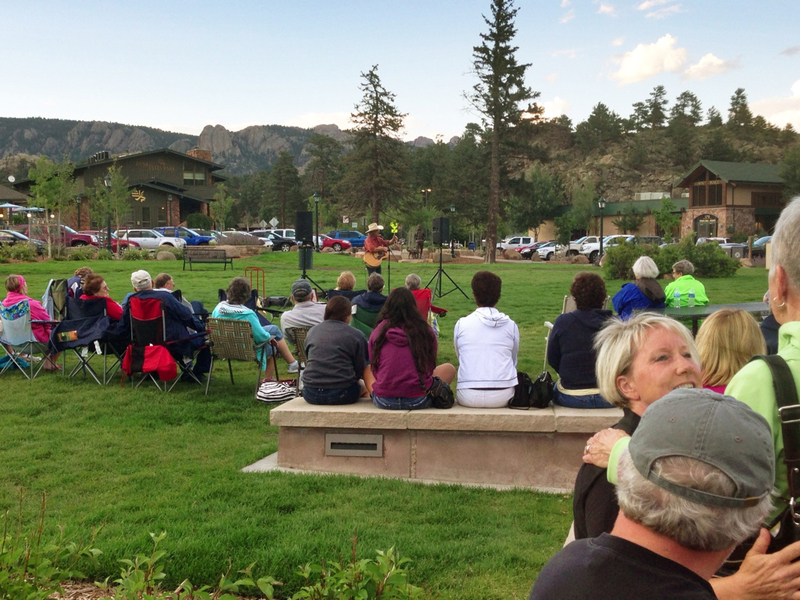 John Denver look alike singing at Bond Park for the campfire concert series. 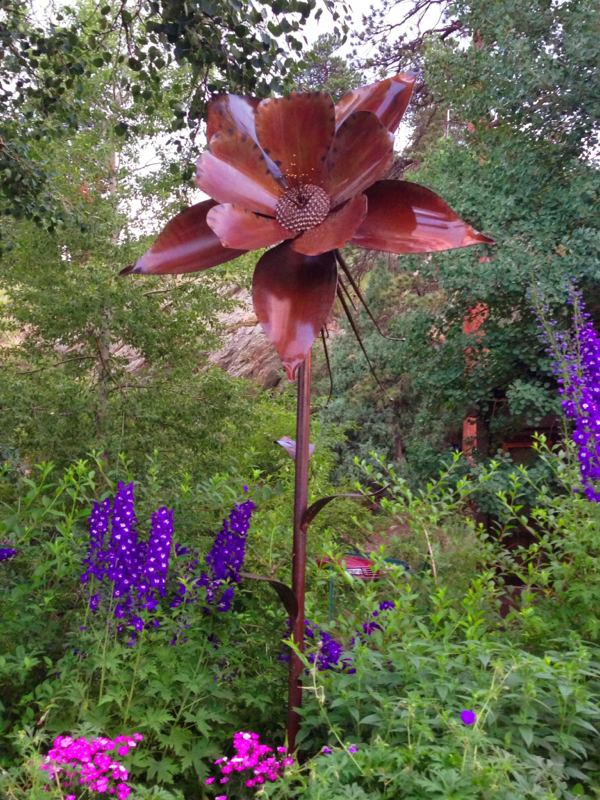 New Columbine metal sculpture amidst the beautiful flowers. 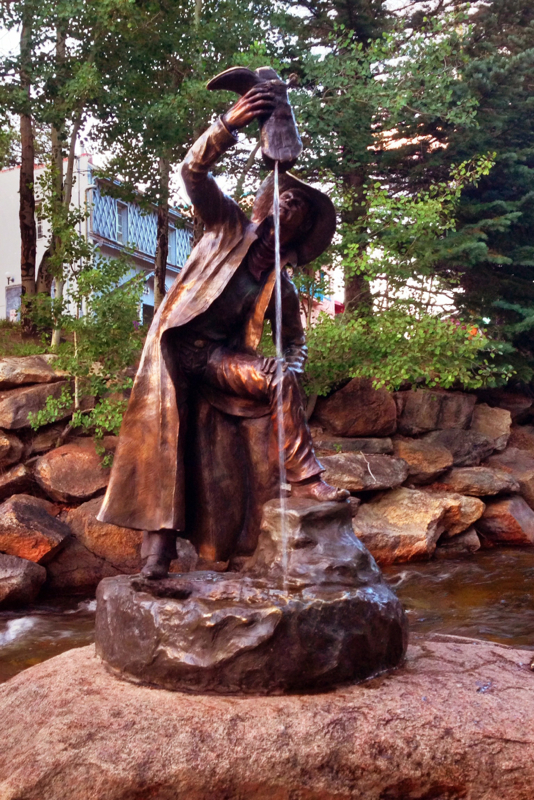 Colorado cowboy sculpture by the shops on the Big Thompson River. 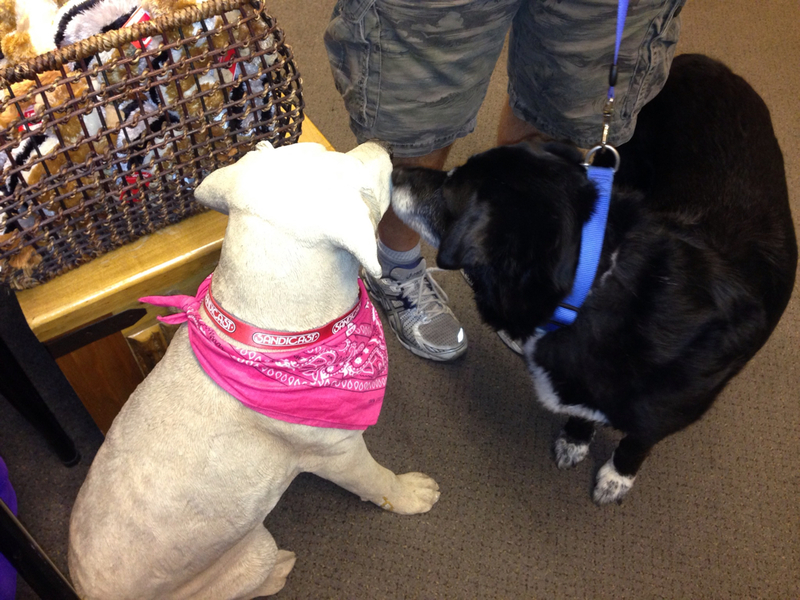 Dog friendly stores - Toby was checking out this particular dog, hmmmm. 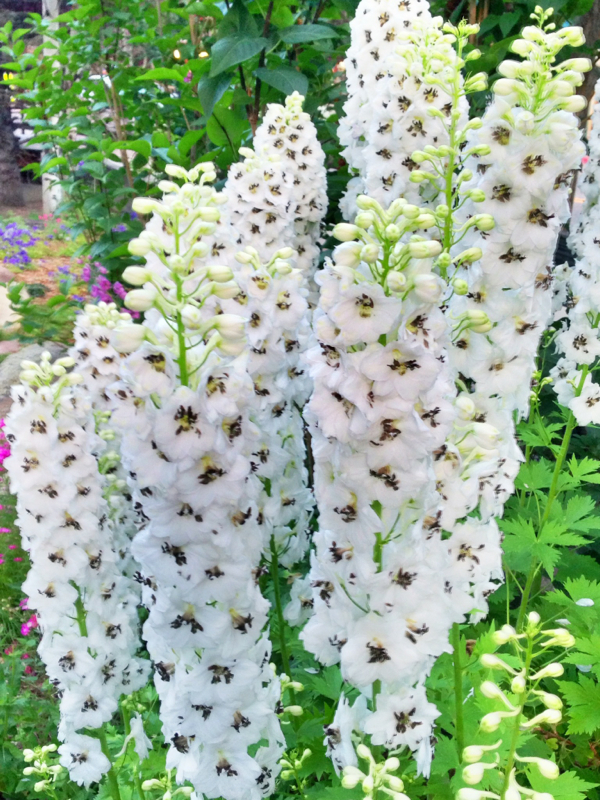 Anyone know the name of these flowers? Gorgeous. 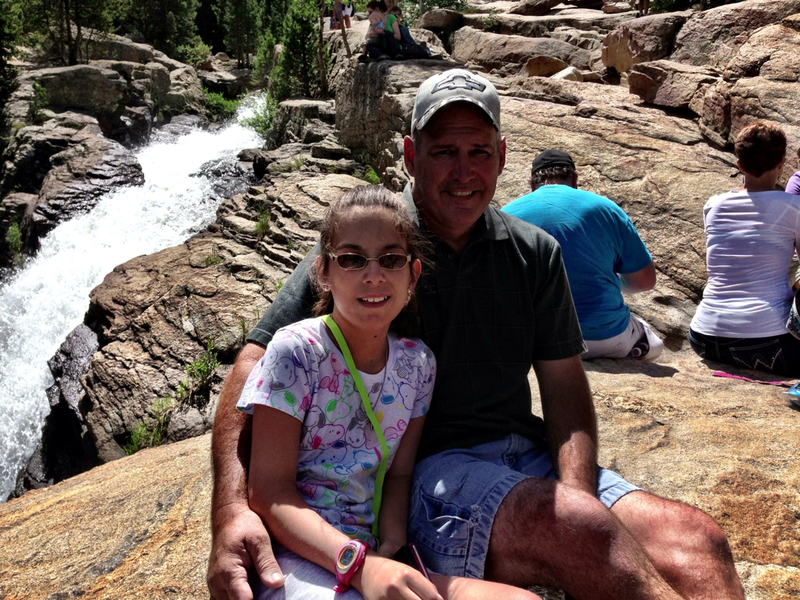 I thought I would try my hand at blogging while in my favorite vacation spot - Estes Park, Colorado. 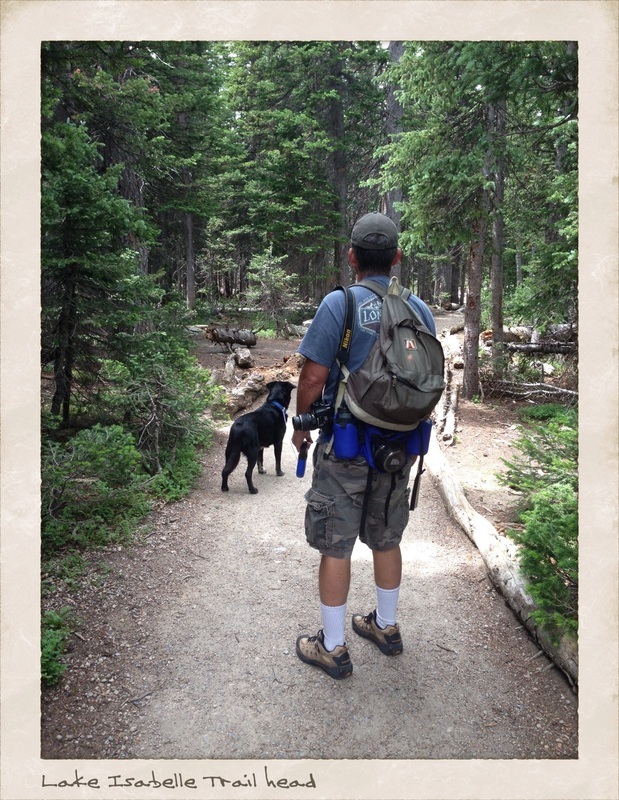 Chuck and I have two weeks to hike and find other adventures in and around Rocky Mountain National Park and Roosevelt National Forest. The picture is my parents&apos; cabin that we have been visiting every summer since the early 80&apos;s.
We arrived Monday evening greeted by my brother Bob. It was so wonderful to see him and spend time talking. He&apos;s a camera man and runs a production company called Palidrome Productions. 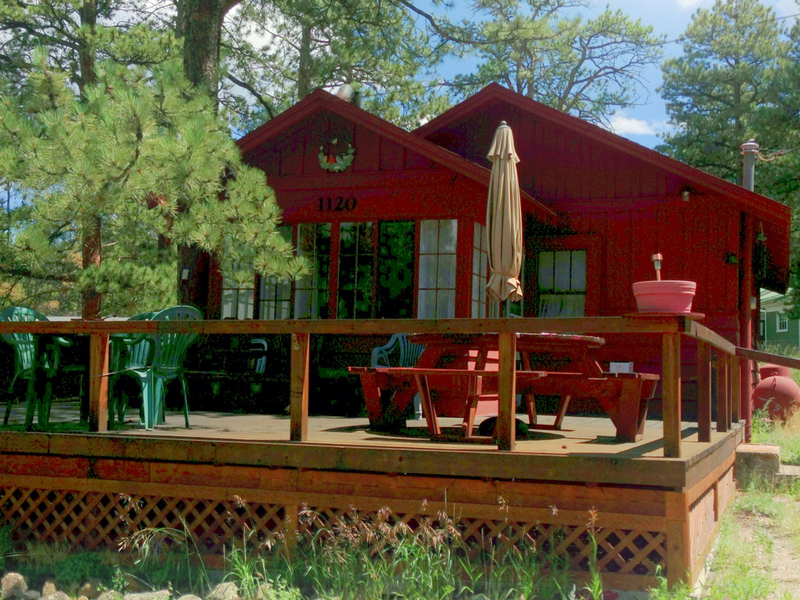 He&apos;s filming in Denver right now so he took a quick trip to the cabin to recoup for a few days. He had been sick but then was hit by a woman who ran a red light Sunday morning. No one was hurt but Bob&apos;s Ford rental was totaled. Air bags deployed and Bob didn&apos;t have a scratch on him - thank you God! 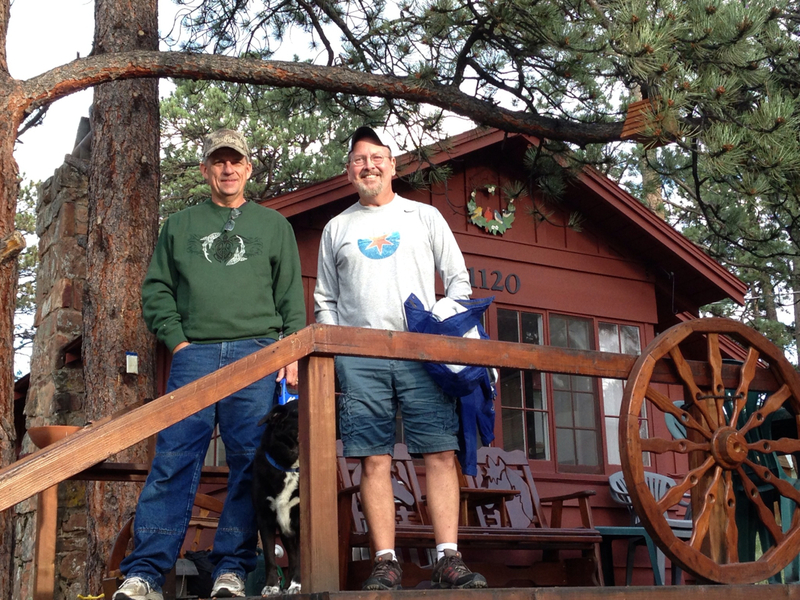 Here&apos;s a picture of Bob on the right, my husband, Chuck and our sweet dog, Toby on the deck of my parents&apos; cabin.